Pre-Photokina 2010: Fujifilm has announced the X100, a large-sensor compact camera aimed at professional and enthusiast photographers. 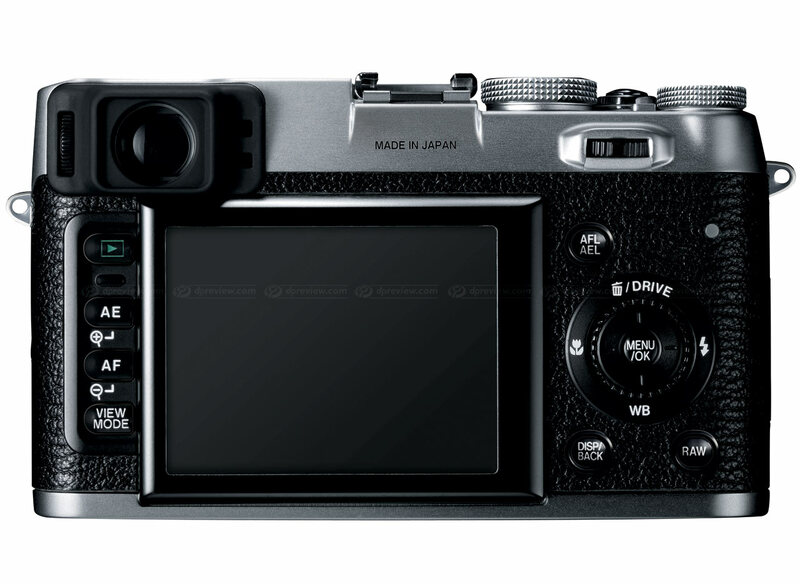 Based around a 12Mp APS-C CMOS sensor, Fuji EXR processor and 23mm F2 Fujinon lens (equivalent to a 35mm semi-wideangle), the classically-styled camera features traditional analogue controls for shutter speed, aperture and exposure compensation. Of particular note is the new 'hybrid' viewfinder system which allows the user to switch between optical and electronic viewfinders and project detailed shooting information into the OVF. The spec is rounded off by 720p HD movie recording, a 460k dot 2.8" LCD, flash hot shoe, and magnesium alloy top and base-plate castings. 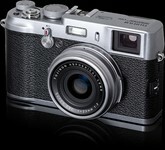 The camera will be available from early 2011. 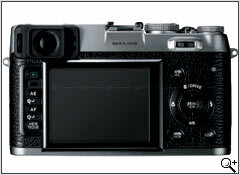 The Hybrid Viewfinder on the FinePix X100 combines the window-type “bright frame” optical viewfinder found in high-end film cameras such as 35mm or medium-format cameras, and the electronic viewfinder system incorporated in fixed single lens or mirrorless digital cameras. By integrating a prism for the 1,440,000 dot LCD panel image on the viewing screen in the reverse-Galilean optical finder, the Hybrid Viewfinder can show both the shooting frame and a variety of shooting data. It can also be used as a high-quality electronic viewfinder to compose or playback shots, with the ability to instantly switch between optical and electronic viewfinder images with simple “one touch” control. The new Hybrid Viewfinder offers users expanded freedom in the composition and enjoyment of photography in a range of challenging shooting conditions. While digital compact cameras have become ever slimmer and more compact in recent years, composing and viewing shots on large, higher resolution LCD panels on the back of the camera has become the mainstream practice for today’s users. The reverse Galilean optical finder with a 0.5× magnification features all-glass elements made from high-refractive index glass and demonstrates low chromatic aberration and distortion. 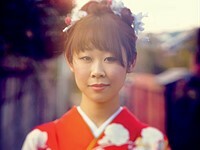 When shooting HD movies, the combination of the large-sized sensor and the large aperture F2 lens, lets users shoot a soft out-of-focus touch (bokeh) — a capability not available in conventional compact cameras. 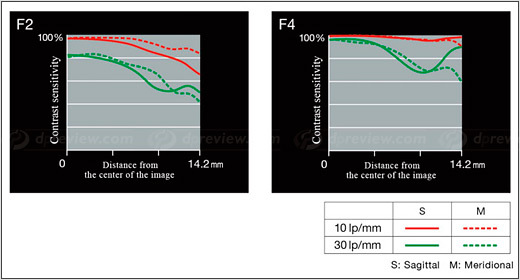 The ideal combination of a fixed focal length lens, high-sensitivity sensor (approx. 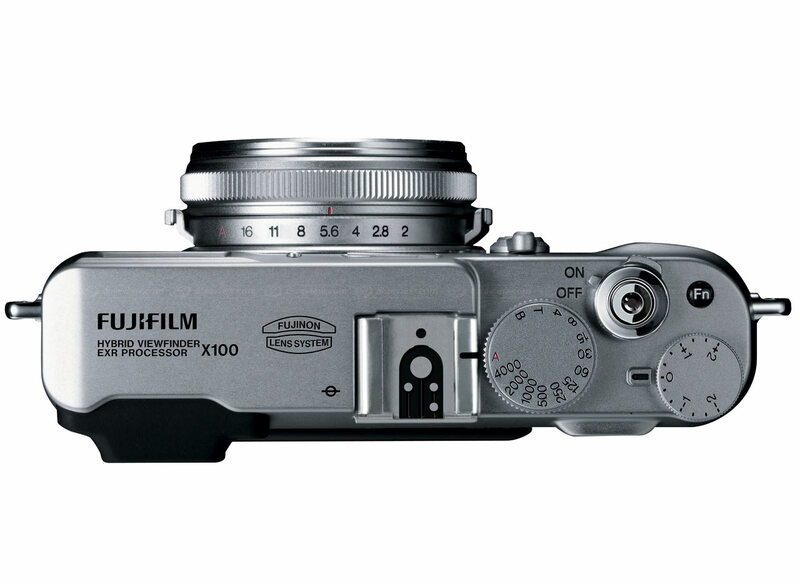 10 times the sensitivity of a conventional compact *) and a high-performance image processor captures exceptionally high-quality images over the entire sensitivity range from low to high ISO settings. The newly-developed lens offers a focal length of 23mm (135 equivalent: 35mm) and a widest aperture of F2. Made from moulded glass, the lens contains 8 elements in 6 groups. Exploiting the merits of fixed focal length lens, this lens delivers sharp resolution of the total image from the centre to the corners. 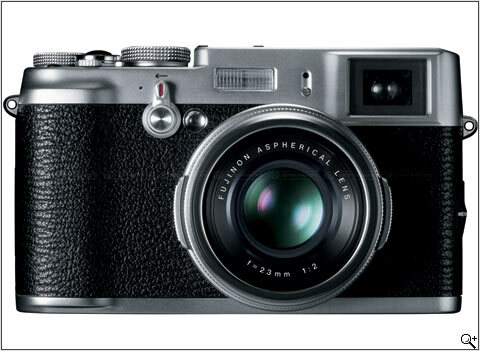 In addition, the lens features not only the large F2 aperture value, but also an optical architecture that maintains a high degree of resolution even when closed by 1 to 2 stops. All dials on the upper control deck are fabricated from metal. Adoption of traditional ‘manual’ dials lets the user confirm the position of the settings without turning on the power. 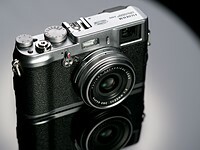 *Comparison with other FinePix compact camera models.